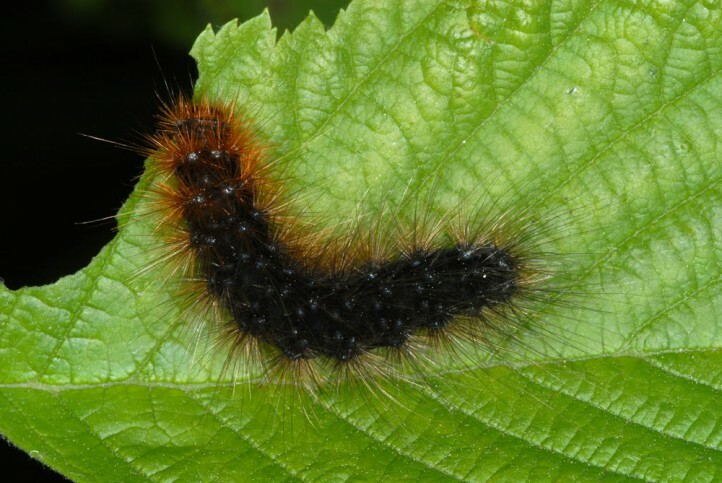 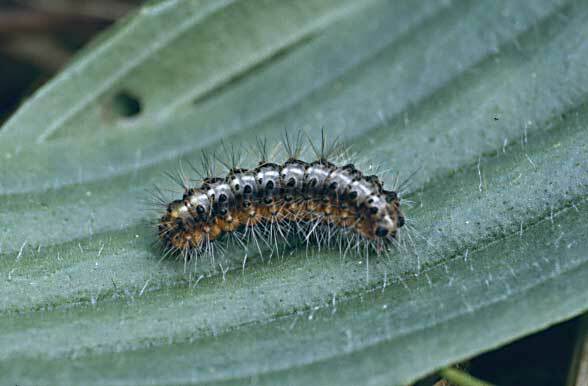 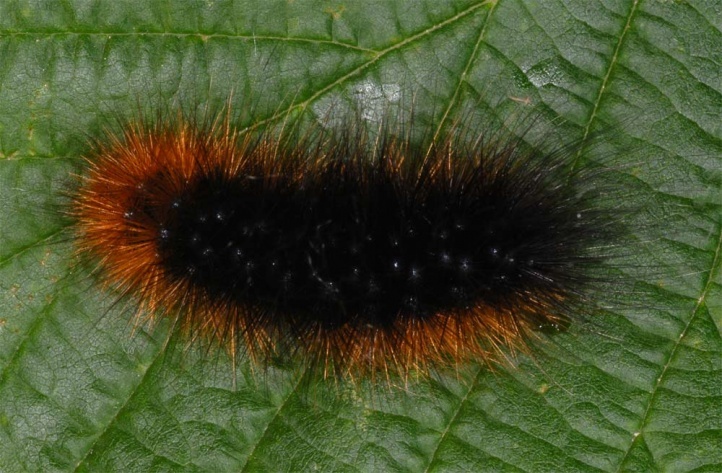 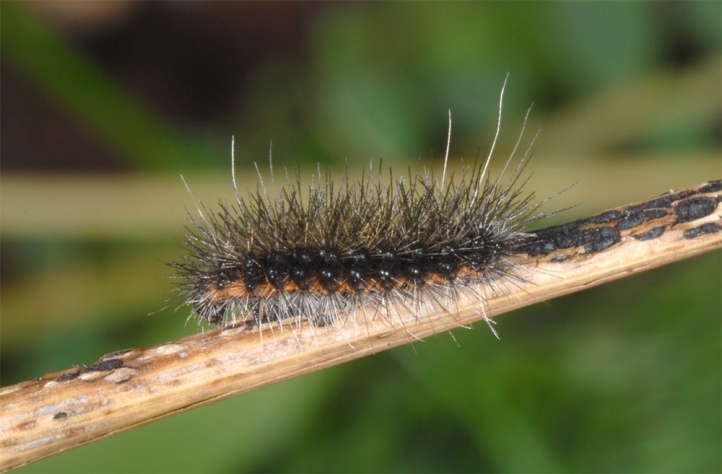 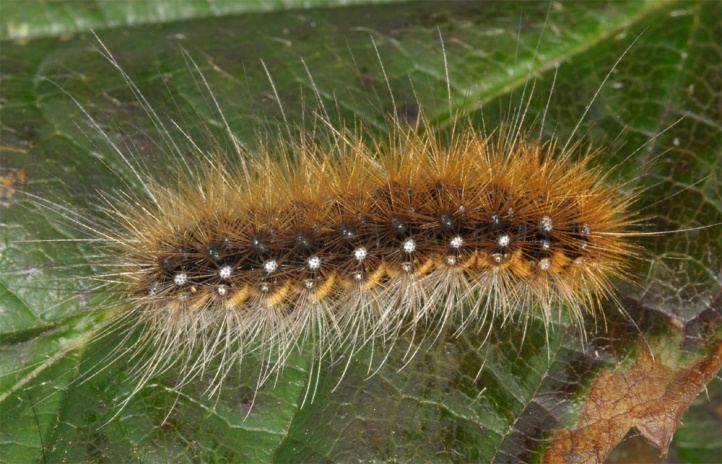 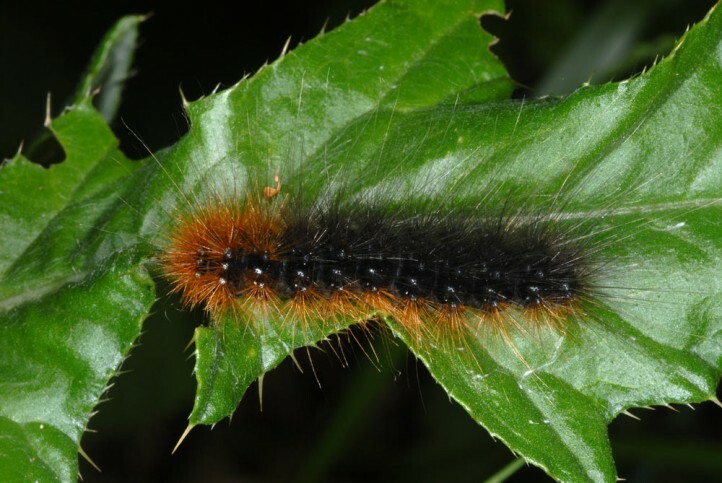 The caterpillar lives polyphagous on herbs such as Urtica and low shrubs. 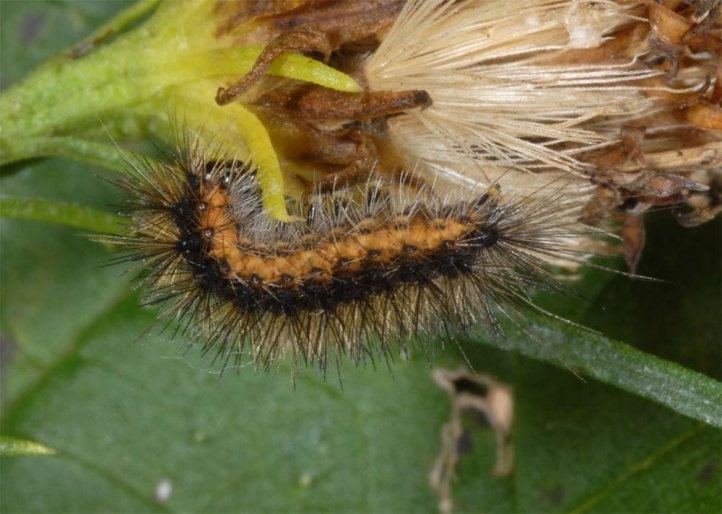 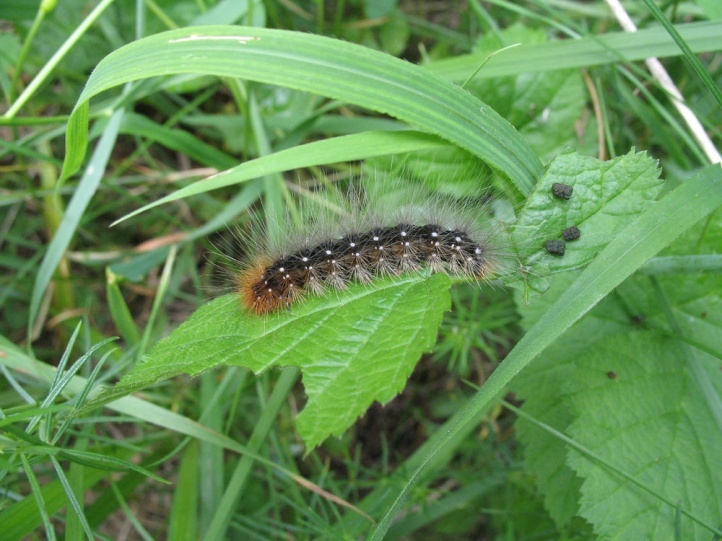 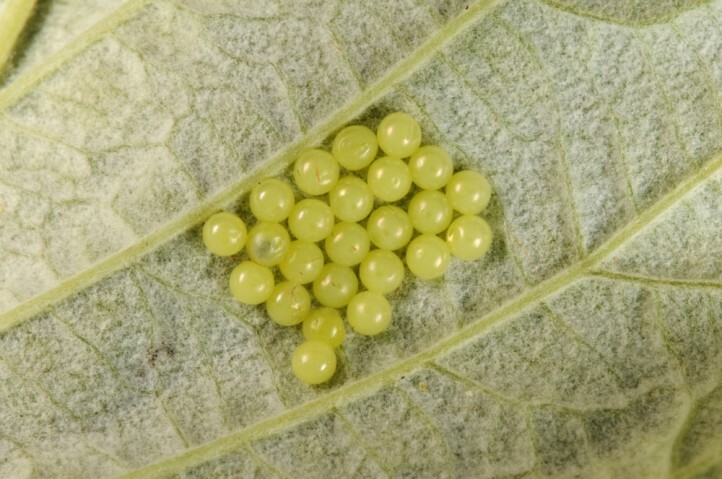 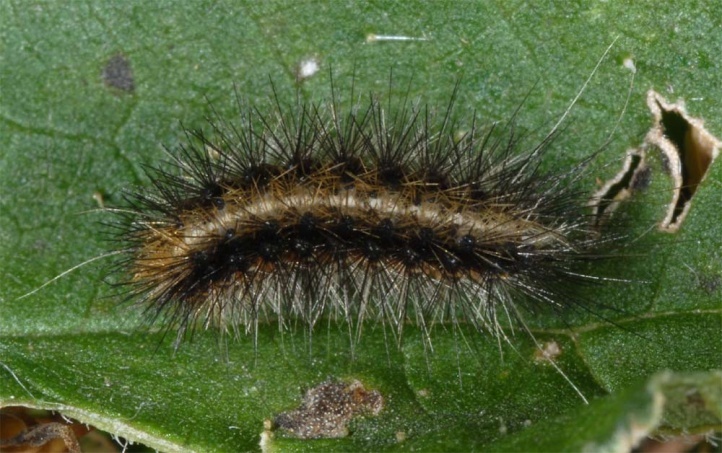 Oviposition takes place often higher above ground on leaves of sallow and other woody plants, where the young caterpillars often live sociable in the first instar. 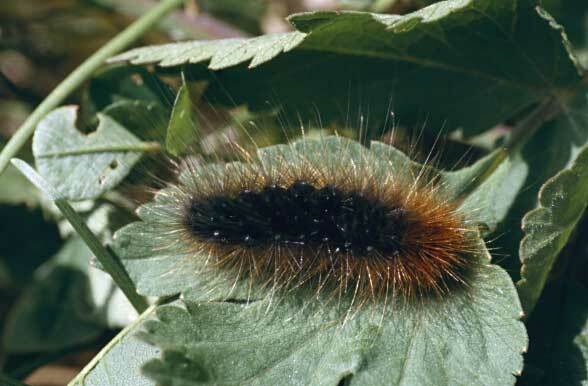 Arctia caja colonizes nearly all habitat types that are not entirely covered by dense forest and are not over-exploited such as tall herb communities, forest clearings and edges, clearcuts, borders of rivers, fens and alpine pastures up to about 1800m above sea level. 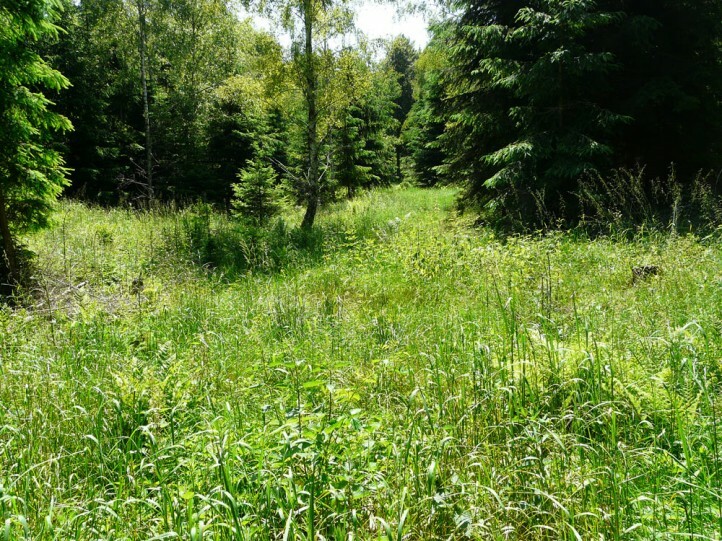 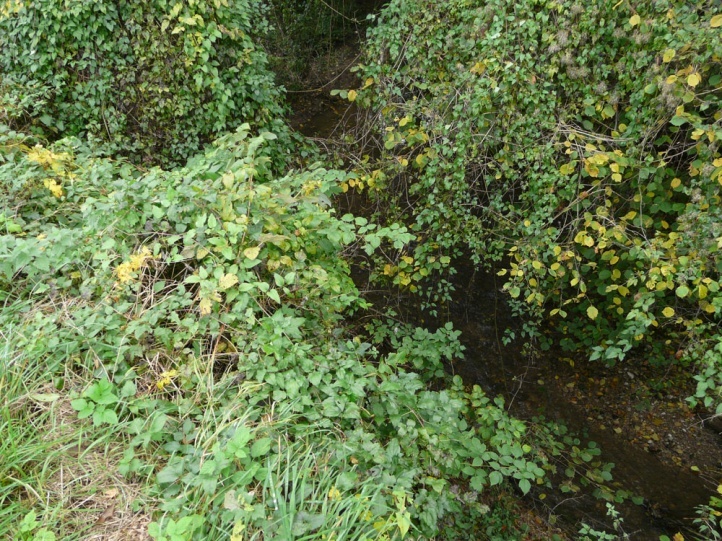 It shows a certain preference for humid and cool habitats. 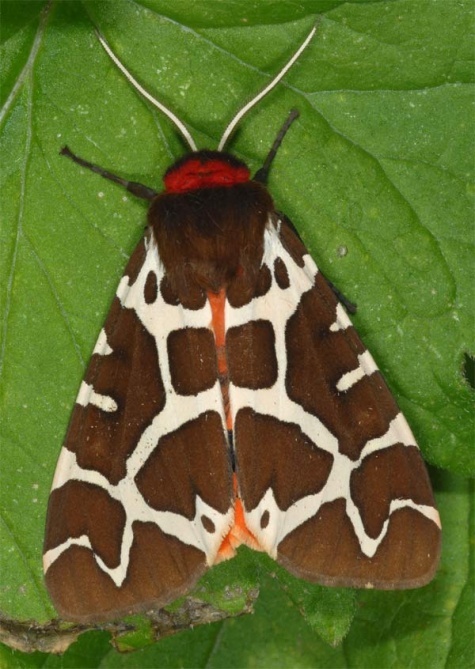 In urban areas Arctia caja can be observed only rarely nowadays. 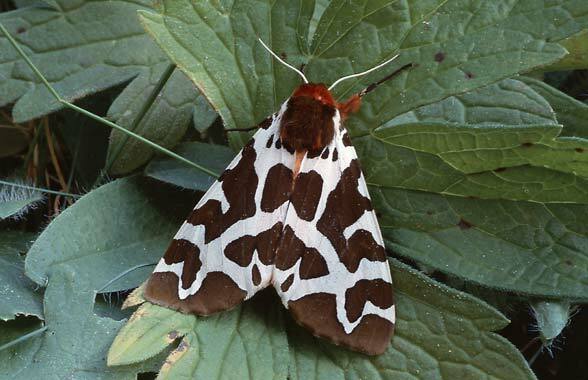 The moths avoid very hot and dry, low growing habitats, but seems on the other hand to be able to settle nitrogen-rich Urtica stocks. 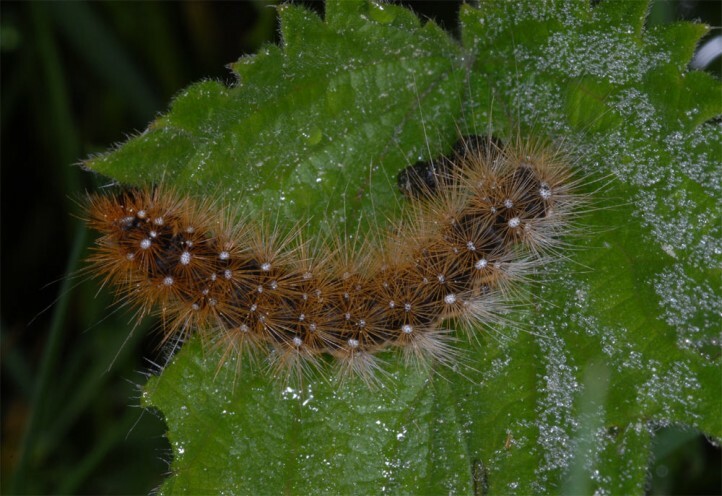 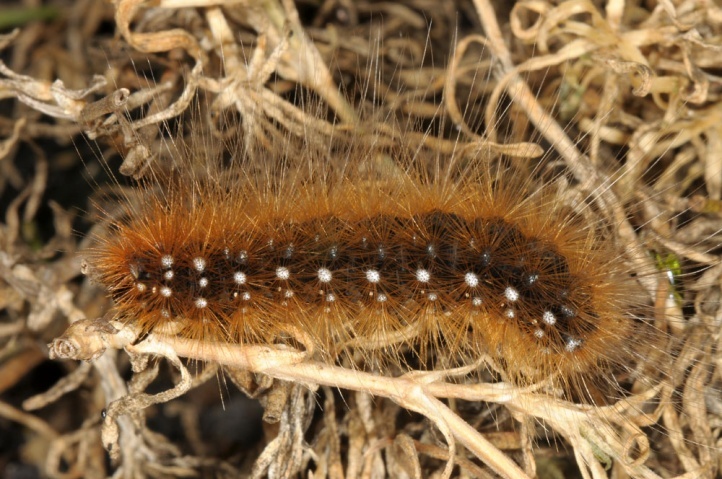 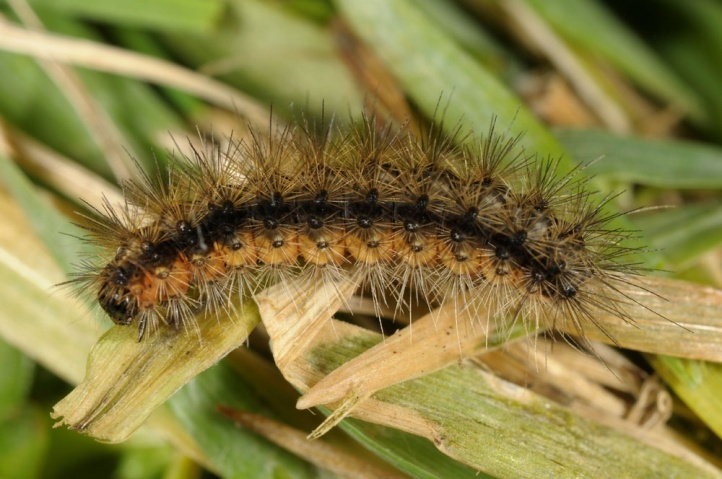 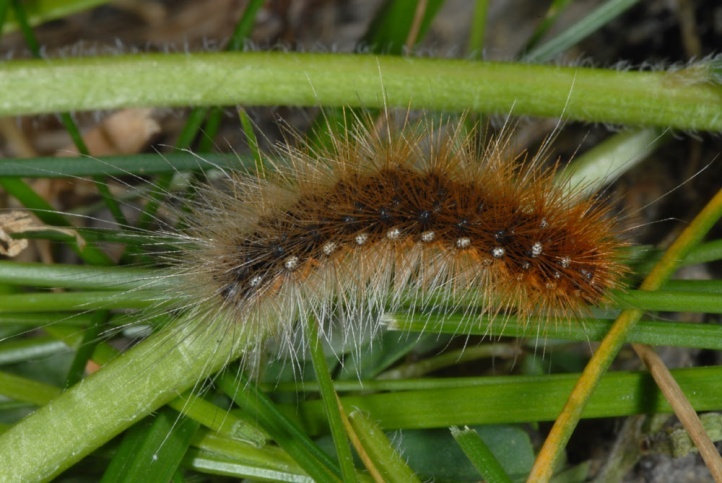 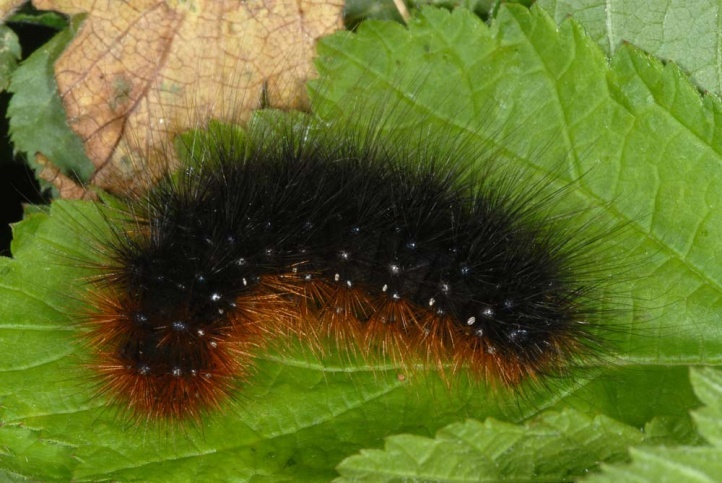 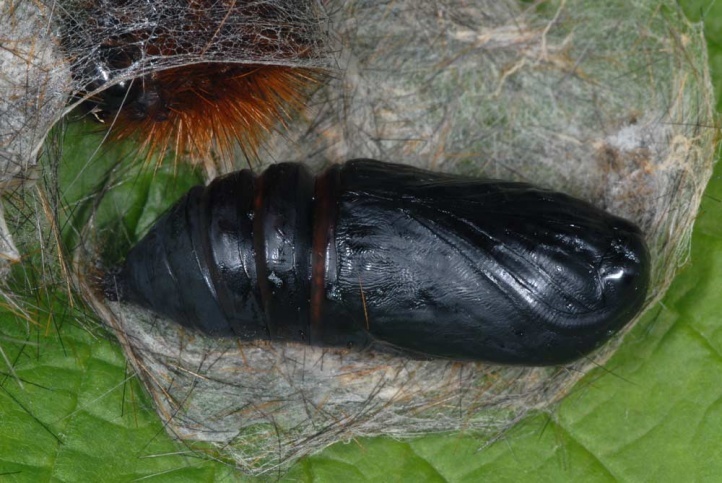 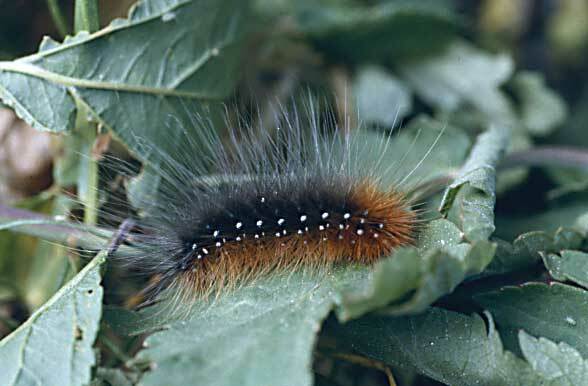 Hibernation takes place as a young caterpillar which is mature in June or July. 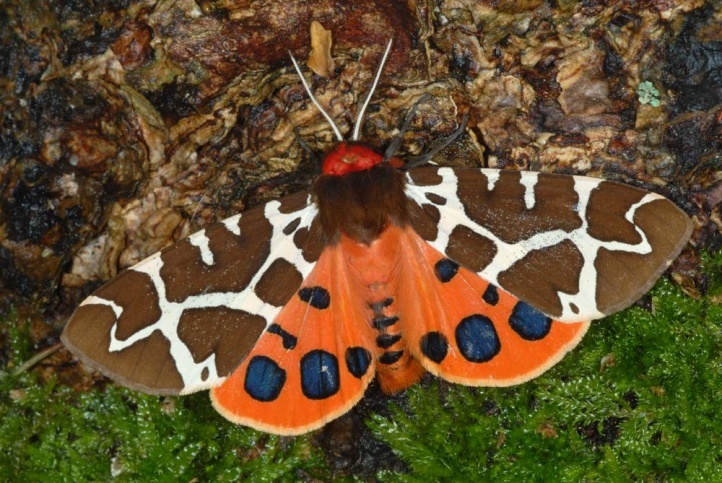 The moths fly mostly from July to August. 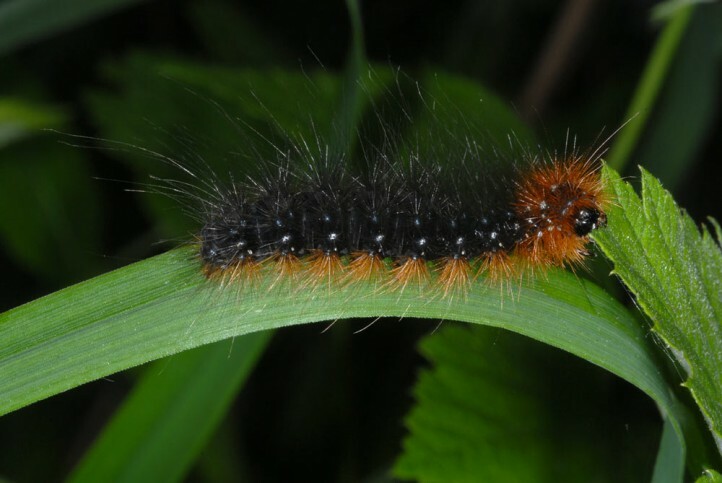 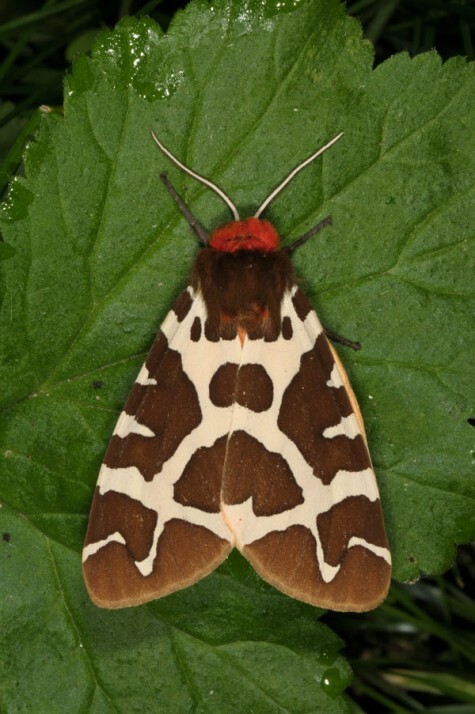 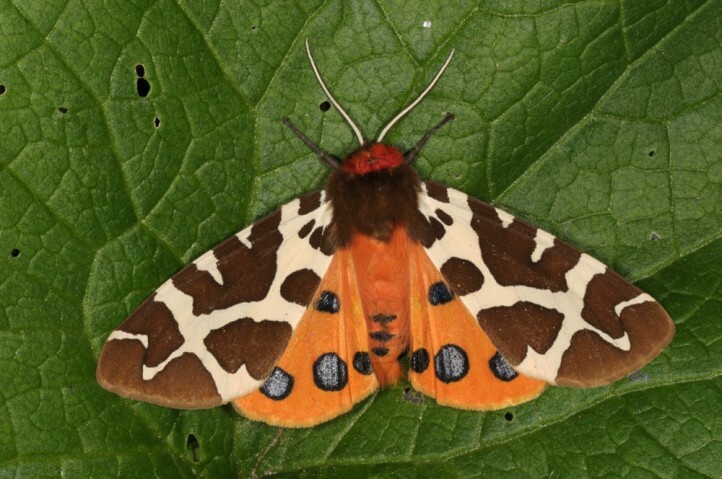 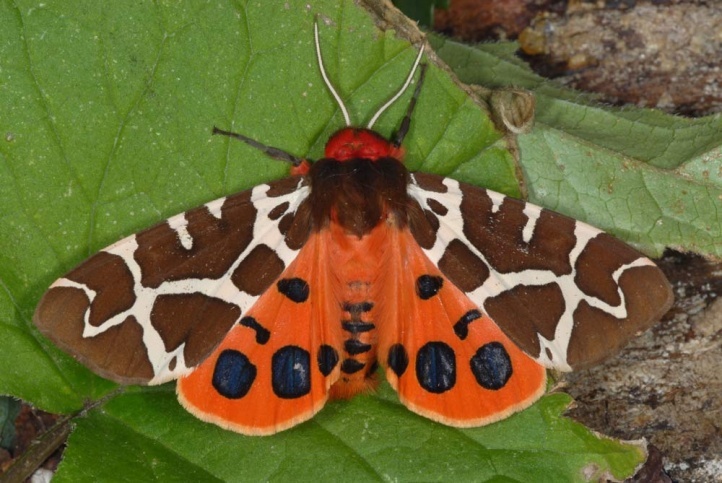 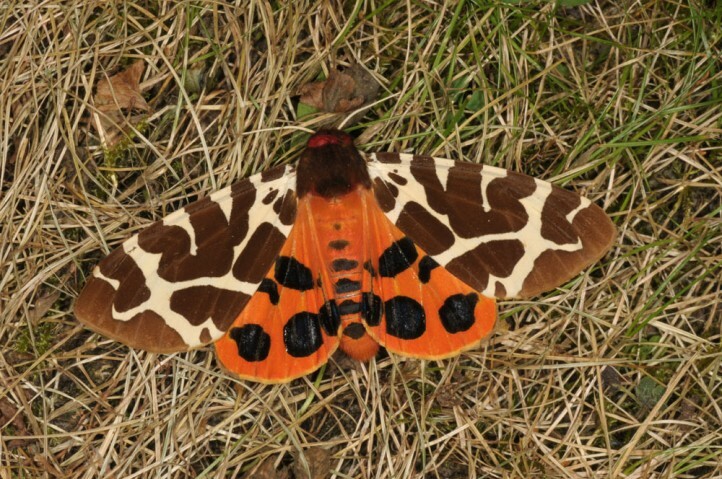 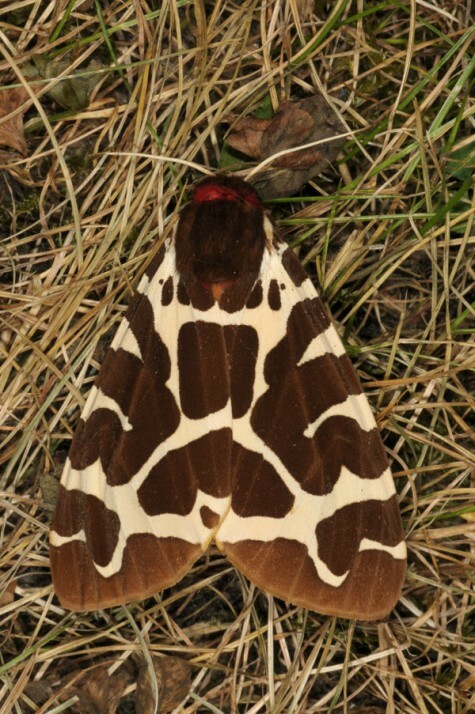 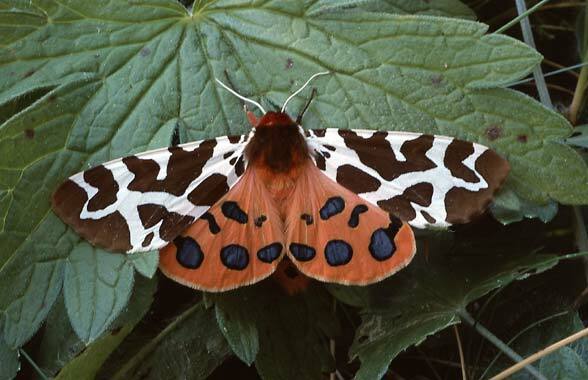 Arctia caja is locally declining significantly, but overall still not seriously threatened because of its ability to settle in nutrient-rich environment. 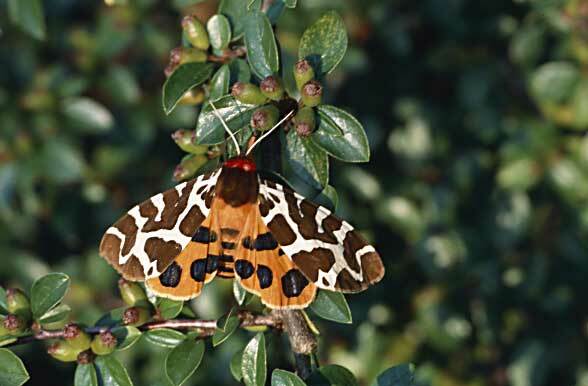 Arctia caja ranges from Spain across almost whole Europe until well into East Asia. 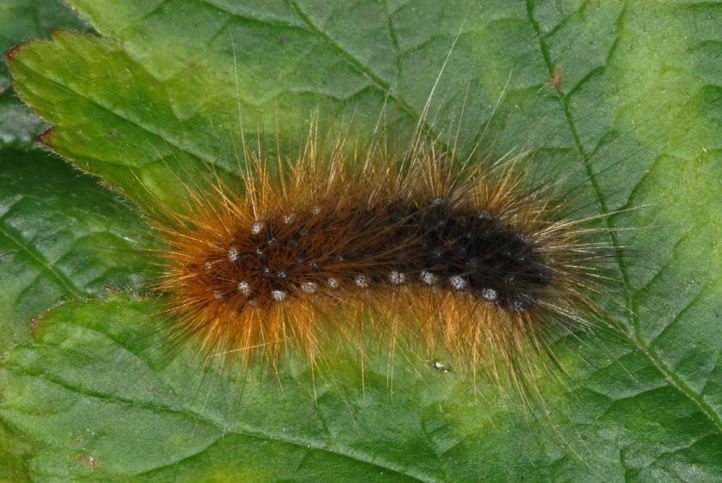 It is also found in North America (holarctic distribution pattern).